A British Catholic missionary and environmental activist Paul McAuley, was found dead in a hostel for indigenous students in Peru. The body of McAuley, 71, was discovered last week by students in the city of Iquitos on the Amazon river. The religious order to which he belonged said in a statement that the body had been burned. 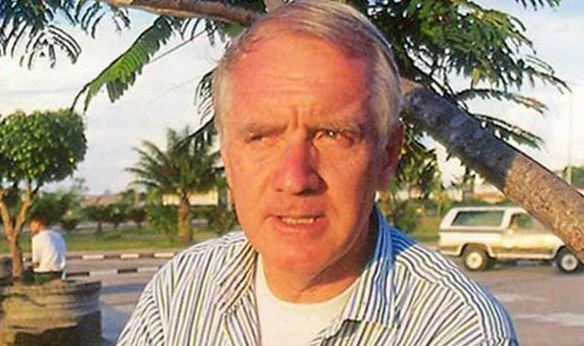 According to The Guardian, a forensic expert in Peru has confirmed that McAuley was dead before his body was burned. The head forensic doctor in Peru’s Loreto region, Francisco Moreno, said it was difficult to determine the cause of death and more pathological and toxicological tests were being conducted but it could take between three to six months to know the results. Authorities questioned six indigenous youth who lived in the hostel he managed in a poor area of the isolated city. The death of McAuley is still under investigation. Born in Portsmouth, the activist lived in Peru for more than 20 years. He had worked on behalf of the country’s indigenous communities to battle powerful oil and mining interests. McAuley attracted international attention in 2010 when the Peruvian government ordered his expulsion. He was accused of causing unrest among the indigenous population for protesting against the destruction of the environment. This resulted in hundreds of people demonstrating for him and allowing him to stay in the South American country after a long trial. Environmental groups were quick to pay tribute to McAuley after his death. This entry was posted in Contemporary Issues and tagged Amazon, Environmental activist, Indigenous Rights, Iquitos, Paul McAuley, Peru. Bookmark the permalink.